The area(s) of the body you are treating. For example hair around the bikini areas is typically more course and stronger than that on the legs. 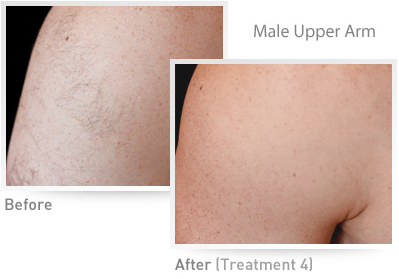 In order to get the best results and experience have a look at our IPL Hair Removal Tips page but, with the above provisos and advice in mind, the examples shown below are what a typical user should hope to expect and the number of treatments needed to achieve it. 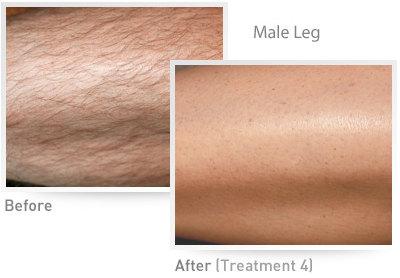 To give you a better idea of timescales, it is is recommended that treatments are typically scheduled 2 weeks apart (4 weeks for legs) though this can vary depending on the speed of regrowth you have. 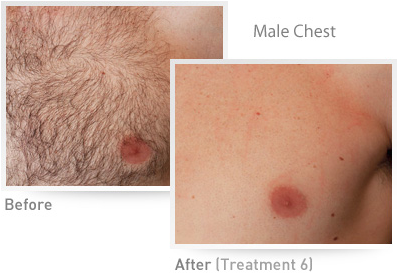 After successfully treating your unwanted hair you may need to continue to treat the area every 4 – 6 weeks just to stop any stubborn hair repairing and regrowing. 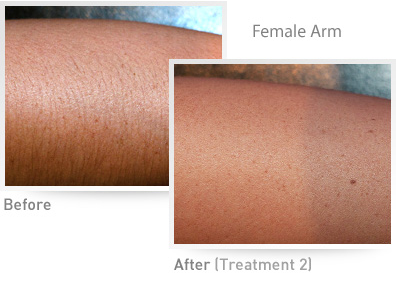 If you’re convinced then check out the best IPL hair removal devices currently on the market. Many of these now come with smaller adapters for specifically treating around face or the bikini area and most also come with an auto flash functionality to take the hassle out of treating larger areas.